COLUMBUS, Ohio -- State geologists in Ohio have for the first time linked earthquakes in a geologic formation deep under the Appalachians to gas drilling, leading the state to issue new permit conditions in certain areas that are among the nation's strictest. A state investigation of five small tremors in the Youngstown area, in the Appalachian foothills, last month has found the high-pressure injection of sand and water that accompanies hydraulic fracturing, or fracking, in the Utica Shale may have increased pressure on a small, unknown fault, said State Oil & Gas Chief Rick Simmers. He called the link "probable." While earlier studies had linked earthquakes in the same region to deep-injection wells used for disposal of fracking wastewater, this marks the first time tremors have been tied directly to fracking, Simmers said. Five seismic events in March were all part of what was considered a single event and couldn't be easily felt by people. The state's new permit conditions are perhaps the most cautious yet put in place in the nation, he said. Glenda Besana-Ostman, a seismologist with the U.S. Department of the Interior's Bureau of Reclamation, confirmed the finding is the first in the region to suggest a connection between the quakes and the actual extraction of oil and gas, as opposed to wastewater disposal. A deep-injection well in the same region of Ohio was found to be the likely cause of a series of quakes in the same region of Ohio in 2012. Under the new permit conditions, all new drilling sites in Ohio within 3 miles of a known fault or seismic activity of 2.0 magnitude or higher will be conditioned on the installation of sensitive seismic-monitoring equipment. Results will be directly available to regulators, Simmers said, so the state isn't reliant on drilling operators providing the data voluntarily. 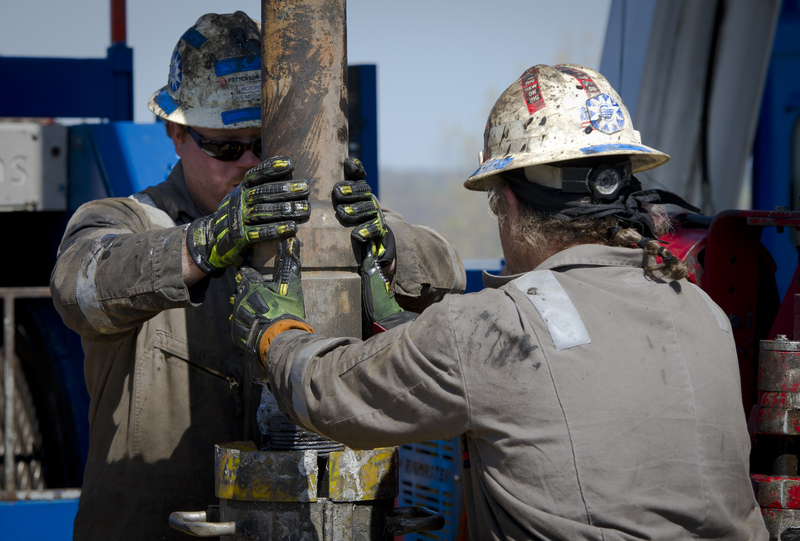 "While we can never be 100 percent sure that drilling activities are connected to a seismic event, caution dictates that we take these new steps to protect human health, safety and the environment," said James Zehringer, director of Ohio's natural resources department. Scientists have previously pointed to fracking as the cause of a major uptick in earthquakes in the state of Oklahoma. The Utica Shale lies beneath the better-known Marcellus Shale, where energy companies have drilled thousands of unconventional gas wells in Pennsylvania, Ohio and West Virginia in recent years. The Marcellus is considered to be one of the richest natural gas reserves in the world. Drillers have only recently begun to tap into the deeper Utica. "A deadly holiday storm shuts down travel and leaves a trail of damage across parts of the country. Also, a subpoena is out for the full unredacted Mueller report, as are new calls for impeachment proceedings. All that and all that matters in today's Eye Opener. Your world in 90 seconds. Get the Eye Opener delivered straight to your inbox."